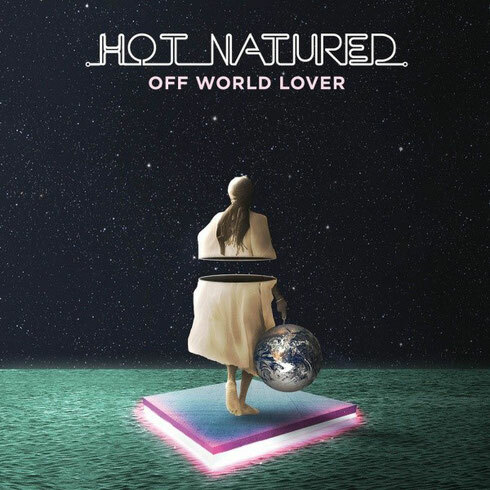 After a great debut performance at this year’s Coachella festival and two years since their chart-climbing ‘Benediction’ release, Hot Natured unleash new material for Emerald City with ‘Off World Lover’ remixed by Will Clarke. The track rides the path between discerning house track and enduring pop tune, the subtleties of Ali Love’s vocals executed amidst Hot Natured’s futuristic analogue sounds. The labour and evolution of the band is evident in its simplicity and matured approach, and the result sounds great. Rising Bristolian producer Will Clarke strips back ‘Off World Lover’ and shapes it for the club circuit through buoyant beats and voluptuous breakdowns, both set for release on Emerald City, the newest label venture from Jamie Jones and Lee Foss, on 18 September. Arguably the biggest dance music act to break out of the underground circuit, with three well-acclaimed singles under their belt, ‘Reverse Skydiving’, ‘Forward Motion’ and ‘Benediction’, Hot Natured are a four-piece consisting of previously established and accomplished music producers Jamie Jones, Lee Foss, Ali Love and Luca Cazal. Since their debut album entered the charts at the end of 2013 they have taken an 18 month hiatus from releasing, burying themselves deep in the studio working on their follow up, set for release in 2016.